Designed for coastal areas, the mighty Windmaster lives up to its name. 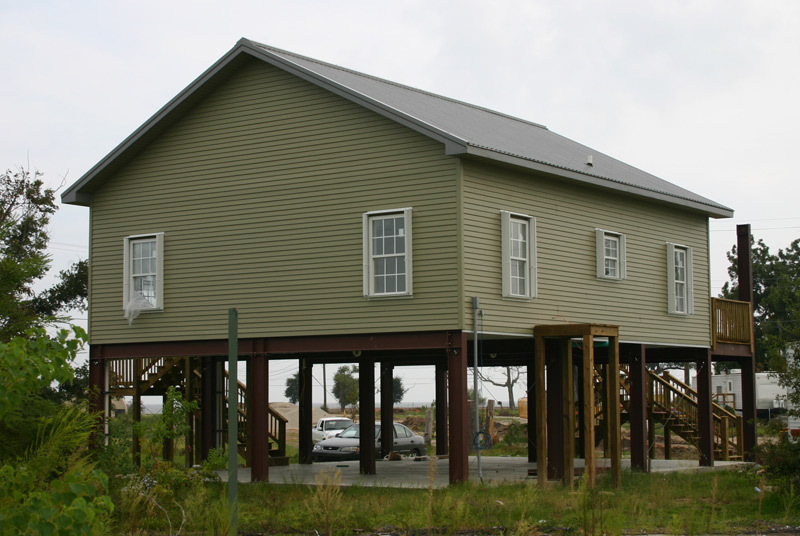 We have engineered it to meet or exceed the International Building Code's specifications for a 155 mph wind load, the maximum force of a category 4 hurricane. The Windmaster is elevated at least ten feet off the ground with structural steel I-beams that bolt directly to your concrete piers (piers to be designed and supplied by others). Kodiak currently offers three Windmaster models, each with an elegantly efficient floor plan that will serve your family as a primary residence or a vacation resort. You can enjoy the beauty of a coastal environment in the safety and comfort of your Kodiak steel Windmaster. (In V-zone areas, the exposed columns will need to be incorporated into the foundation per your local foundation engineer's specifications).